“Home is where love resides, memories are created, friends always belong, and laughter never ends.” I always say when your comfortable, it makes for really great photographs. 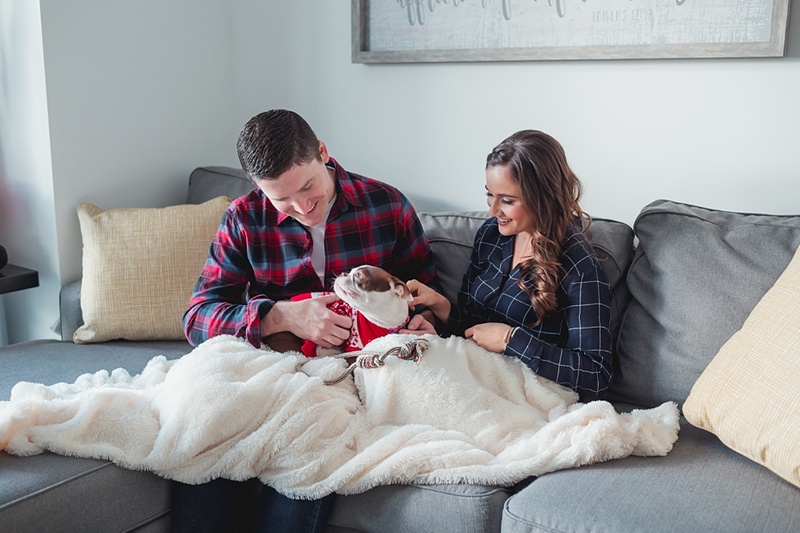 So what better place to feel comfortable and get crazy amazing engagement photos than to have your engagement photoshoot in your home. That's what Gaby and Michael decided to do and you are in for a treat. These guys are beyond cute and their little french bulldog, (name), almost stole the show with his adorable Christmas jumper. Gaby and Kevin met at her sister's wedding and romance blossomed from there. Gabriela says about the proposal "This year, we went for a road trip through Arizona. We made a pit stop in Scottsdale, where Michael requested we climb Camelback mountain again. When we got a nice landing, we sat to watch the sunset. He told me he wanted to spend his life with me, read me a letter he had written to my mom , and then proposed. It was so beautiful.” “She is the love of my life” says Michael. These guys were so much fun to shoot. So relaxed, so fun and so ridiculously smitten with each other. Check out the photos and see for yourself how absolutely crazy cute these guys are. 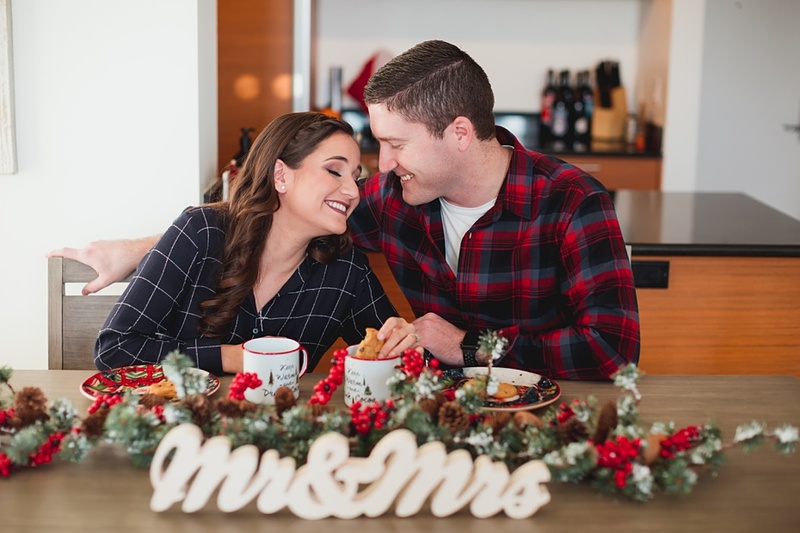 As it was coming up to Christmas we went for a cozy theme shoot. Guest starring their other family member, their gorgeous dog. This soon to be Mr and Mrs are so relaxed and so in love and we really had so much fun at the shoot. They were so comfortable in front of the camera, really showing their personalities with a little silliness included and it made for amazing photos. Check out the photographs to see for yourself.